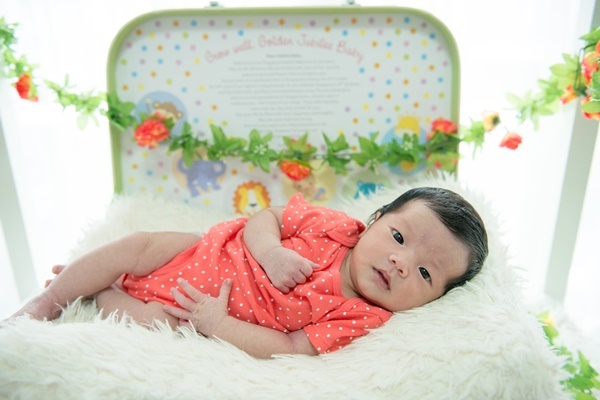 Just before I was giving birth, I decide to pick up a new born package for Kpo Kia (Haha, saw so many nice newborn photos till I decide to get one for her too). Asked around and decide to get a promotion package from Studio Memories at the price of $160. 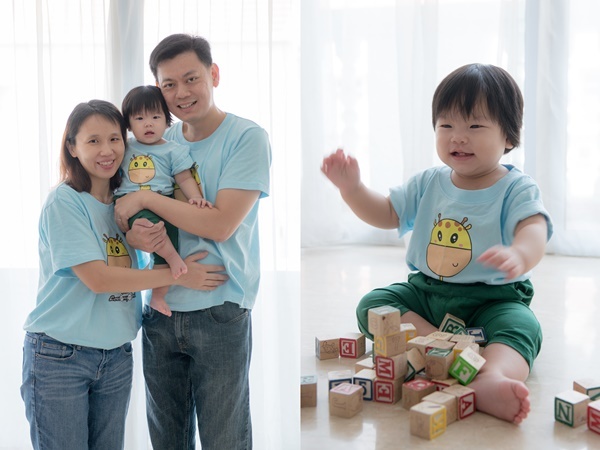 Since JL, a designer who is good in photographer, also took from the same studio, I reckon it should be of certain standard for her to share the lobang with me. As Kpo Kia was hospitalised for first few days after my delivery and G have work commitment after that, we sort of missed the golden period for her newborn shoot and only managed to secure a slot on the 19th days after birth. The best period for newborn shot is first 10-14 days after birth – as according to the article I had read. 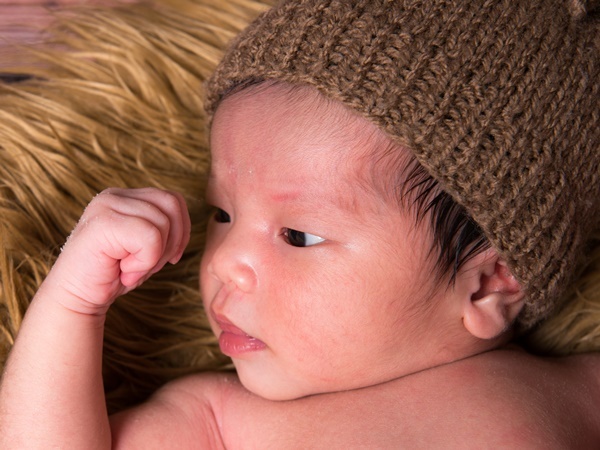 Newborn babies are born with nearly 300 bones (full-grown adult has only 206!) & cartilage pieces, which after that 10-14 days, start to fuse together into calcified bone. This makes it much harder for the babies to return to that in-the-womb position they’ve been in for the last 9 months. Thus if taken during the first 10-14 days, the babies will feel much more comfortable to be moulded into the adorable position while they still have the luxury of pure flexibility. 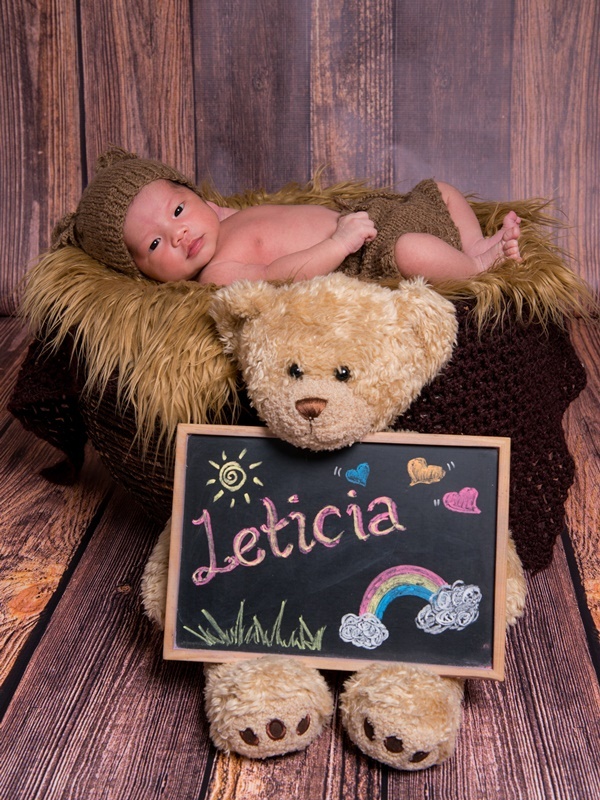 They have an additional assistance for newborn photo shoot. And I pretty like the white board design drawn up by them. 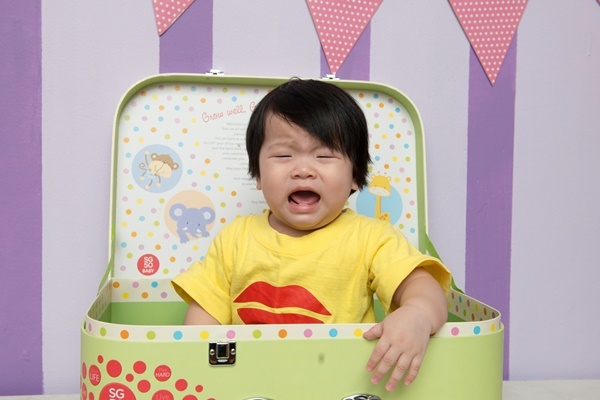 Love this photo – not because Kpo Kia managed to squeeze into the box (although I am partially happy because of it), but because.. she tried to pull the lid and it fell on her, so she ended up crying and we got this photo! Silly kpo kia! P/s: Motherhood really change one person. 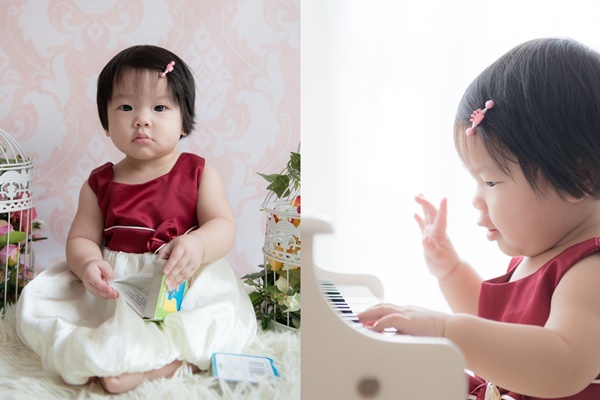 I cannot believe I am so hardworking to be able to maintain a facebook album for her of her first year – posting a photo of her daily. Yup, people who know me well enough knows that I am someone who is good in “flashing in the pan” (三分钟热度).